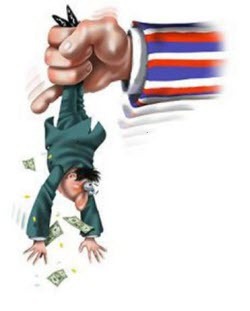 If you are an affiliate located in Arizona or Minnesota, then beware the online taxman! Both states are considering adoption of the Affiliate Nexus Tax. 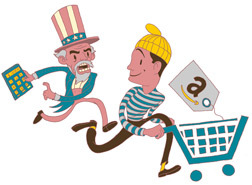 Basically, the law says if an online retailer has affiliate marketers in the state, then the retailer is responsible for collecting and remitting sales tax. As a result, if the law is passed, hundreds of merchants may decide to terminate their relationship with you. Bills of this ilk are often mistakenly informally referred to as “The Amazon Tax” or “Internet Tax.” But these names are misleading because the tax, which is complex and takes on many different forms, singles out just one group within the online advertising space: affiliates. Although the specific language and implementation of each bill varies from state to state, the basic concept is similar – states are attempting to define their resident affiliates as having a sales presence or “nexus” for out of state merchants in order to collect sales tax for purchases made within that state. According to the Performance Marketing Association (PMA), it is estimated over 200 merchants terminated their affiliate programs in New York, to avoid the expense and unfairness of collecting sales tax for purchases made in New York. This devastated incomes in New York. Merchants followed suit in North Carolina and Rhode Island, and terminated programs well in advance, even before laws were passed. Implications for Affiliates in the U.S.
As more states incorporate an Affliiate Nexus Tax (or variation of it), it will become harder and harder for merchants to run affiliate programs. Therefore, merchants will shift their advertising dollars somewhere else. A perfect example is what happened in Hawaii on June 30, 2009 when Amazon.com pulled its Amazon Associates Program as result of affiliate tax collection legislation passed by the Hawaii State Legislature. Arizona and Minneapolis Affiliates: Act Now!